Please join us for our 3rd Annual Chili Cook-off and Cornbread Bake hosted by our EYC! 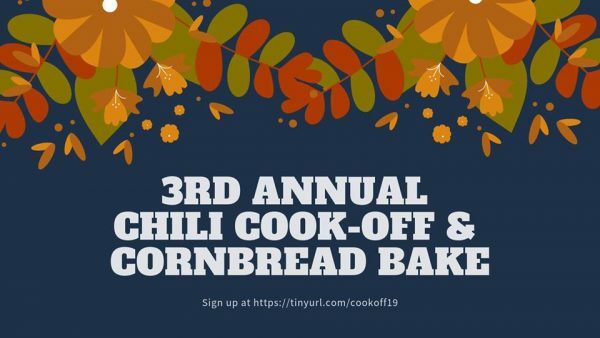 The Cook-off will happen on January 5th, 2019 from 5:30pm – 7pm at Christ Church in New Bern. 320 Pollock St in New Bern! If you would just like to taste and be one of our People’s Choice judges, the cost is $10 per adult and $5 per child. Located in the Harrison Center! We hope you will join us as we raise funds for our D.C. Trip Pilgrimage.